I decided to put this on my list because I thought it would be fun to attend a conference. I was hoping that I would learn some new photography skills and maybe meet a few fellow photographers along the way. I attended a conference back in late January and I think I've been putting off writing about it because I didn't want to say negative things but the experience didn't turn out quite like I was hoping. I've been dreaming of attending WPPI for the past few years, but unfortunately the timing of it just didn't work with my schedule this year. 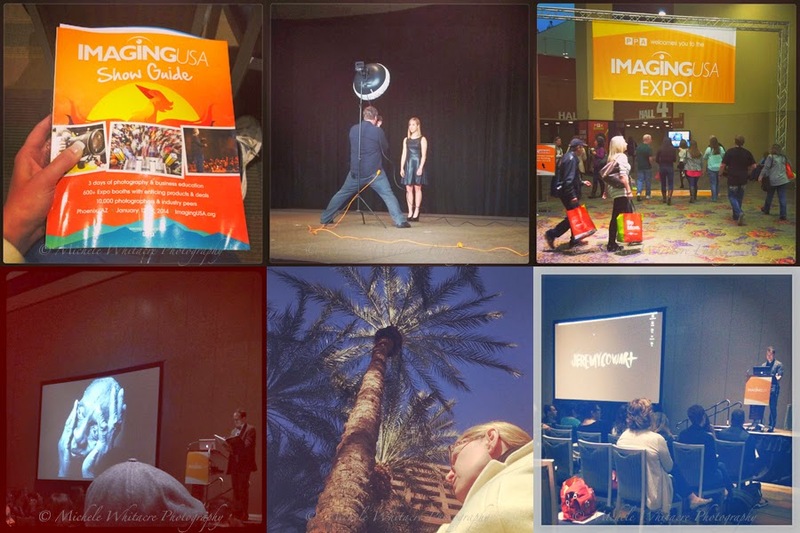 So, when an online photog friend told me that she was attending Imaging USA, I jumped at the chance to join her. The conference was in Phoenix so the cost and convenience made it a no brainer, plus I was super stoked to get to actually meet my photog friend in person after exchanging emails and phone calls for the past 3 or 4 years. Unfortunately, my friend ended up not being able to get the time off work to attend, and Kevin and I decided to purchase our house a little sooner than we planned which added some unexpected craziness to my life. So, by the time the conference rolled around I had lost a bit of my enthusiasm for attending, which probably didn't help my experience. But, the conference didn't turn out quite like I would have hoped either. I felt like there weren't enough classes offered, and a lot of them were nothing more than well known photographers showing off their work and talking about their careers. While these were interesting and motivating, I didn't take away as much new knowledge as I would have preferred. The classes were also held early in the morning and late in the evening, with 4-5 hours in the middle with not much going on. Perhaps if I wasn't a Phoenix resident and was trying to squeeze in a few hours of sight seeing I might have felt differently, but I felt like I wasted several hours each day just sitting around waiting for the second set of classes to start. While it wasn't quite what I was hoping for, I am glad that I attended, and one of the classes I took was awesome and taught me some great new techniques that I've been practicing! I didn't take very many photos during the conference, but below is a little collage of the ones I did take.